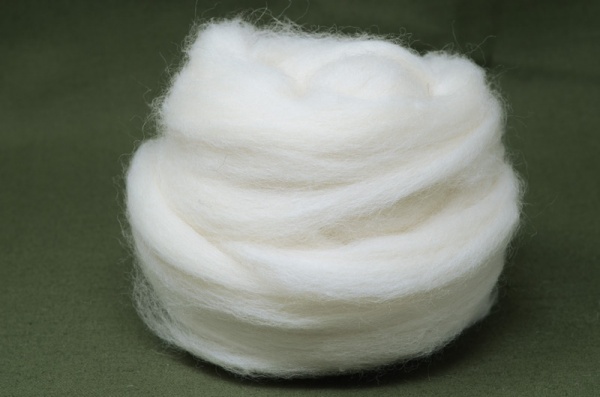 The classic Shetland white is made from selected fleeces to ensure the fibre a has consistent feel across the board. It's fine fibre and so well suited to knitted or felted pieces that may be worn against the skin. 10cm(avg) staple length, 30 micron.